His appearance is that of the archetypal sailor. Most of the time, he wears a sailor’s outfit comprising of black trousers, sailor’s hat, blue pullover with an anchor on it, and we often see him with a pipe in his mouth. 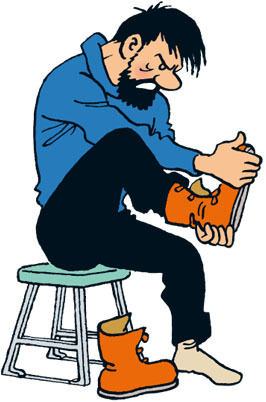 Captain Haddock has a wonderful repertoire of expletives. These words are not insults, but when used with a certain vehemence, sound like awful insults.